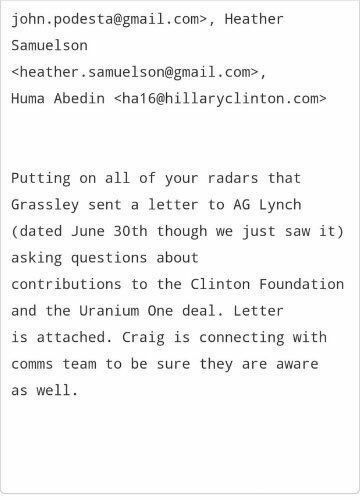 According to a newly leaked email, Hillary Clinton campaign staffers became worried when they were somehow informed that the Chairnan of the Senate Judiciary committee, Chuck Grassley, had sent an inquisitive letter to U.S. Attorney general Loretta Lynch concerning Clinton foundation dealings and Tge Uranium One scandal. Who informed them of the letter and why would it be a concern is the real question. 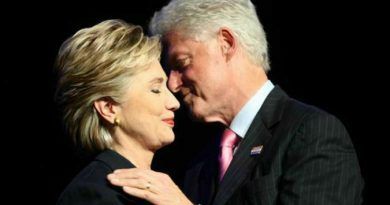 Just when one thinks the cavalier cabal of Clinton and her cronies has exhausted all manner of corruption, yet another outrage surfaces, implicating even more people. 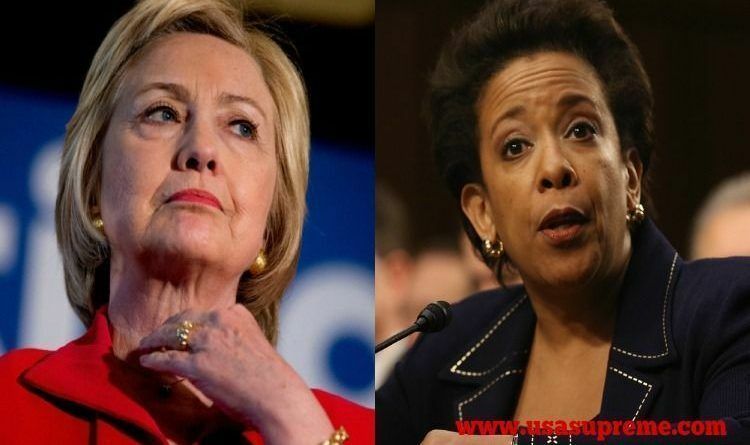 The bombshell this week is that Loretta Lynch and James Comey not only gave immunity to Hillary’s closest co-conspirators Cheryl Mills and Heather Samuelson—who, despite being attorneys, destroyed evidence right and left—but, in a secret side deal, agreed to limit the FBI’s review of the Clinton team laptops to pre-January 2015 and to destroy the laptops when the FBI review was complete. Congress and every law-abiding citizen in this country should be outraged. This blatant destruction of evidence is obstruction of justice itself. 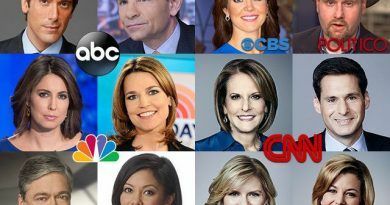 We no longer have a Department of Justice: We have a Department of Obstructing and Corrupting Justice to protect the power elite of the chosen side. HILLARY NEARLY CHOKES AT RALLY – AGAIN!